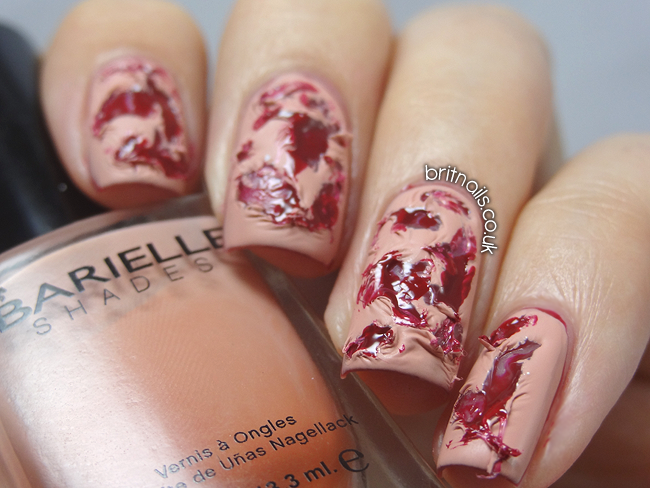 If you're squeamish, this particularly gross Halloween mani will do you no favours, so best not to read on! 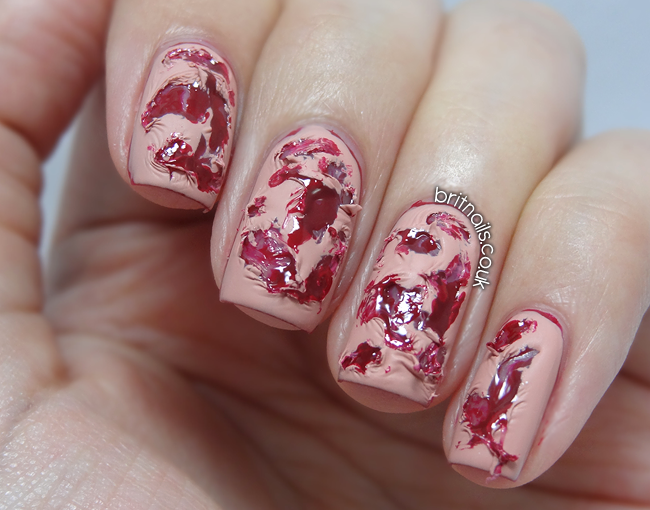 I got the idea for this bloody torn flesh nail art from this tutorial by PackAPunchPolish. I've been waiting ages for Halloween so I could try it! I know, it's completely disgusting, and that's why I love it! It's not the most practical design in the world and would probably take hours to dry completely, but so long as you did it in time it'd be amazing for a Halloween party! For the blood effect I've used China Glaze Winter Berry, and the flesh colour is Barielle Back To Nature. So gross and yet so awesome! haha this is so gross, i love it! I can see how this would look gross in the right atmosphere. 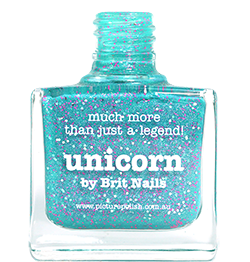 Though I feel really weird about this, I have to confess I was all ready to be squeamed out by your mani but I took one glance at it and it made me hungry! I stared at the pictures of your nails trying to figure out why I had THAT reaction, and finally realized it reminded me of a Waldorf salad. The "fluffy" part isn't white like in a Waldorf but the red polish was making me think about yummy maraschino cherries. I'm sorry. Is it just me? Maybe I should go eat dinner and look at your mani again when I'm full. :D Thank you for sharing. Haha, that's the best comment ever! 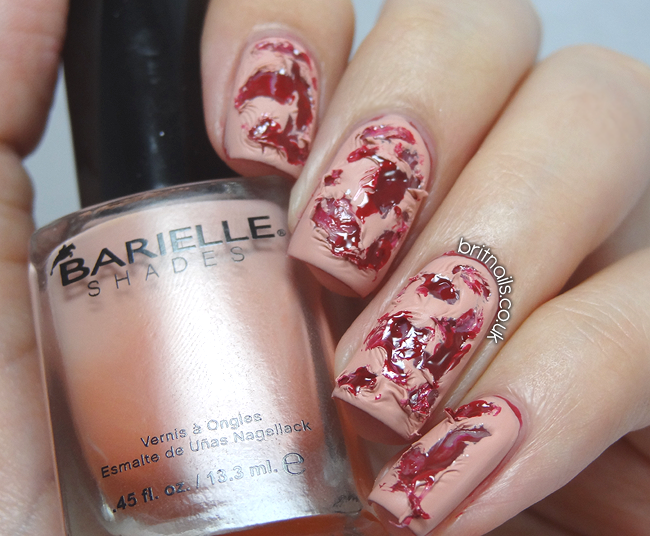 These nails are so gross yet so clever!! :) I'll have to give them a go myself. You are absolutely right, your nails look sooooo disgusting!